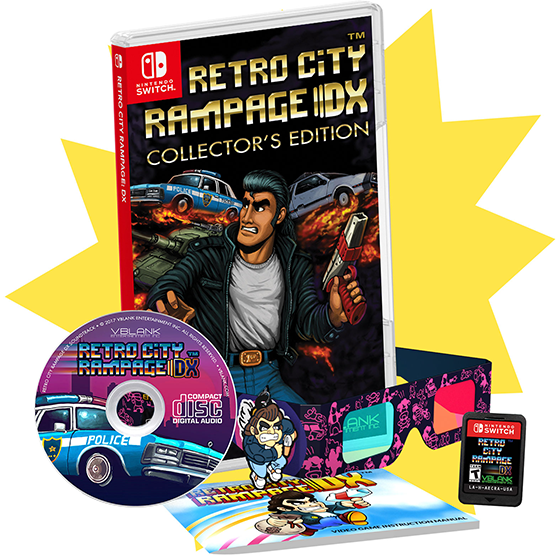 Physical Copies of Retro City Rampage DX for the Nintendo Switch will be making an appearance later this month. 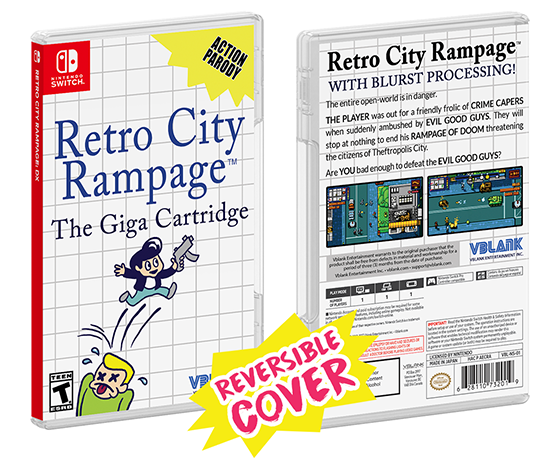 Self-published by the developers, Vblank, themselves, two editions of the physical release will be made available, a standard edition and a limited edition set. The limited edition set will come with the game, 3D glasses, keychain, soundtrack, physical manual and also a reversible cover. Preorders of the game will be open on the game’s 5th Anniversary this coming Monday on 9th October 2017 here. The standard edition will retail at $29.99, while the limited edition will go for $44.99. Both editions are expected to ship end of this month.